Configurations include coiled, straight, u-bends, or short cut-to-length parts. Spezilla's Capillary Coiled Stainless Steel Tubing and Control Line Coiled Stainless Steel Tubing are used for oil and gas applications, while our Geothermal Coiled Stainless Steel Tubing withstands highly corrosive downhole environments. 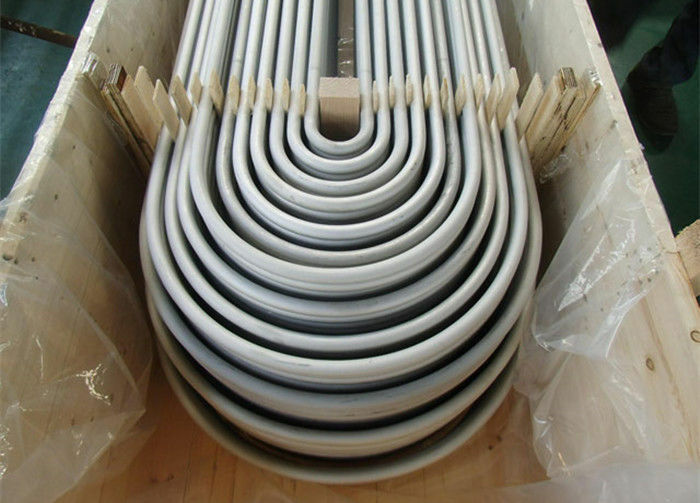 We are equipped to carry out heat treatment of bends plus a minimum 150mm of leg. Heat treatment equipment is computer controlled with the added facility of data recording. An argon protective atmopshere is used inside stainless and special alloy tubes during heat treatment. We can provide all types of annealing; solution annealing and stress relieving. Seamless and Welded Ferritic Stainless Steel Tubing for General Service. 15 grades of ferritic stainless steel tubing for general corrosion resistance and high temperature service. (Types 329, 405, 409, 410, 429, 430, 430Ti, 443, 446, XMs & others). Seamless and Welded Austenitic Stainless Steel Tubing for General Service. 13 grades of austenitic stainless steel tubing for general corrosion-resisting and high-temperature service. (Types 304, 304L, 316, 316L, 317, 321, 347, 348 and XM grades). 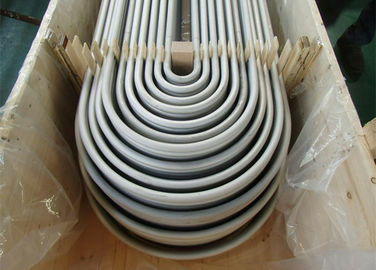 Seamless and Welded Austenitic Stainless Steel Sanitary Tubing. Austenitic stainless steel tubing intended for use in the diary and food industry in sizes up to and including 4 in. in outside diameter. Seamless and Welded Austenitic Stainless Steel Pipe. Austenitic stainless steel pipe intended for high temperature and general corrosive service. 22 grades are covered. Electric-Fusion-Welded Austenitic Chromium-Nickel Alloy Steel Pipe for High-Temperature Service. For corrosion and high temperature service, normally not less than 8 in. nominal diameter. Types 304, 316, 309, 310, 321, 347, 304L, 316L, 304H, 316H. Welded Large Outside Diameter Light Wall Austenitic Chromium-Nickel Alloy Steel Pipe for Corrosive or High Temperature Service. Nominal diameter 14-30 in. in Schedules 5S and l0S. Types 304, 309, 310, 316, 317, 321, 347, 348, 304L, 316L. General requirements for Alloy Steel Tubes. Common requirements for ASTM tubular specifications. Seamless Stainless Steel Mechanical Tubing. 27 grades are covered for mechanical applications. Primarily round tubing. General Requirements for Carbon, Ferritic Alloy, and Austenitic Alloy Steel Pipe. Common requirements for ASTM pipe specifications as listed. Welded Stainless Steel Mechanical Tubing. Nineteen grades are covered for mechanical applications. Rounds, squares, rectangles, and special shapes are included. Seamless and Welded Austenitic Stainless Steel Tubing for General Service. Small Diameter. 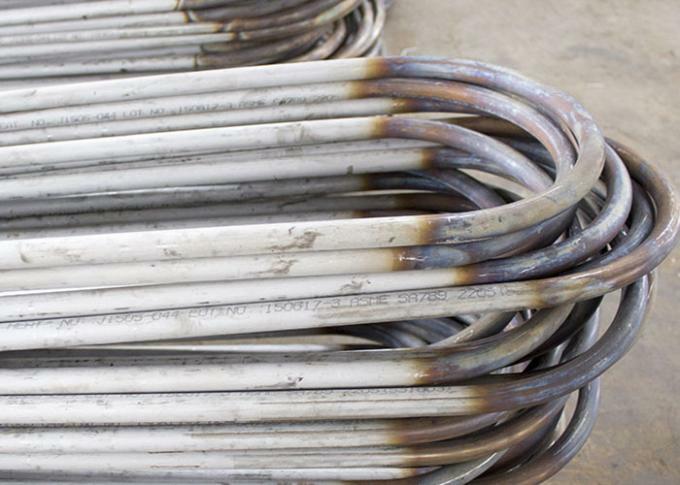 9 grades of austenitic stainless steel tubing for general corrosion-resisting and high-temperature service.